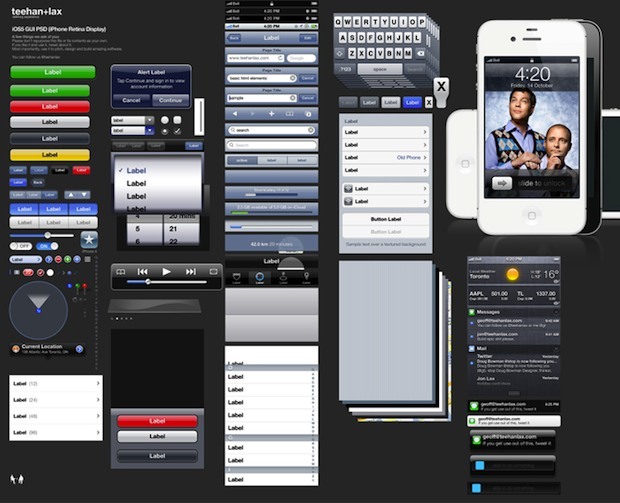 If you’re an UI designer, iOS developer, or anywhere in between, this iOS 5 GUI elements kit makes quick work of mocking up apps and iOS interfaces. The PSD file comes from Teehan+Lax, the same guys who brought the iPhone & iPad GUI elements as layered photoshop docs as well. Do you know if is it possible to use these GUI elements also for a web site? I think they are mostly concerned with people reselling their PSD files, which has occurred in the past. Double-check with the creators though, as we can’t speak for them. anyone find it funny they put a stepbrothers mock up poster, clouds, and set the time to 4:20?